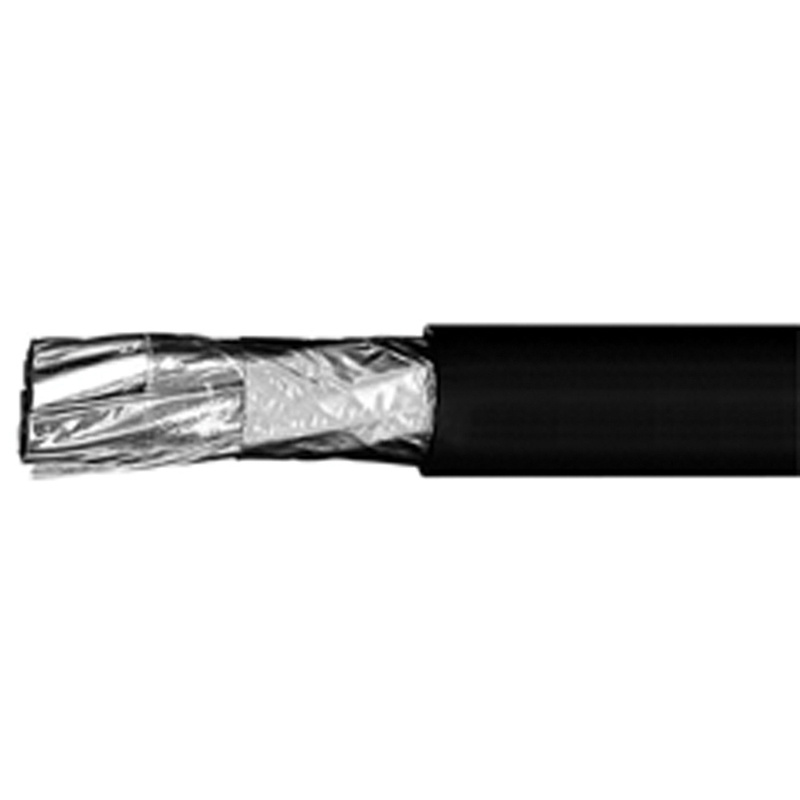 Omni Cable 16/4P Instrumentation cable in black color, has 0.06-Inch thick PVC jacket to withstand harsh environmental conditions. The 0.015-Inch thick PVC/nylon insulation resists electrical leakage and offers protection against environmental threats. It has 100% foil free edged aluminum Mylar tape shielding that reduces EMI/RFI interference/crosstalk. It has outside diameter of 0.544-Inch. Annealed bare copper cable has voltage rating of 600-Volts. It is suitable for use in free air, raceways, direct burial in wet as well dry locations and in industrial hazardous locations. It withstands temperature rating of 90 deg C. Cable is UL listed.